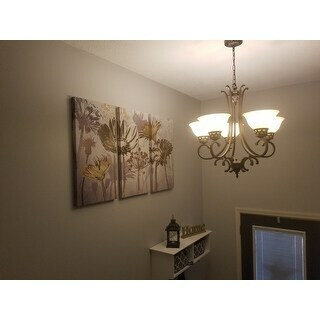 I fell in love with this design, it went perfect with my decor, but once I received it I just didn't seem to like it. It was a good size and colors were exactly as pictured and good material but I ended up taking it down. Its now just sitting in my garage, which is a shame since I paid over $ for it. Summer's Field -Gallery Wrapped Multi Piece Canvas A premium hand wrapped Giclee canvas. 100-percent Created to last. Individually hand wrapped to very high standards. Printed and inspected one at a time utilizing the latest archival UltraChrome Giclee inks Available in 3 sizes for you to choose from 24"X36" TOTAL SIZE - Consisting of 3 Total Panels Each measuring 12"x24" x1.5" deep 32"X48" TOTAL SIZE - Consisting of 3 Total Panels Each measuring 16"x32" x1.5" deep 40"X60" TOTAL SIZE - Consisting of 3 Total Panels Each measuring 20"x40" x1.5" deep Each piece includes hanging accessories and is ready to hang. You need only to apply an anchor to the wall of your choice. Dimensions 24.0 In. X 36.0 In. X 2.0 In. Beautiful for the size I have. I have it in the basement hall way. Very nice. It gives the basement a modern but elegant look. It brighten up a room. One of my favorite pieces in the house! 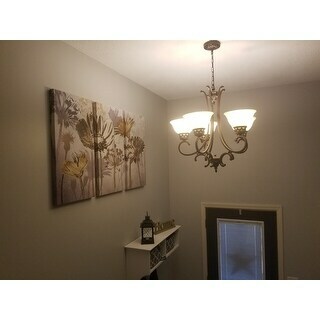 We put it in the entry way to our house which accents our chandelier with the bronze and gold colors. Beautiful picture, should have ordered larger size. Love it right amount of gold silver and touch of bronze. Looks great. Nice size. 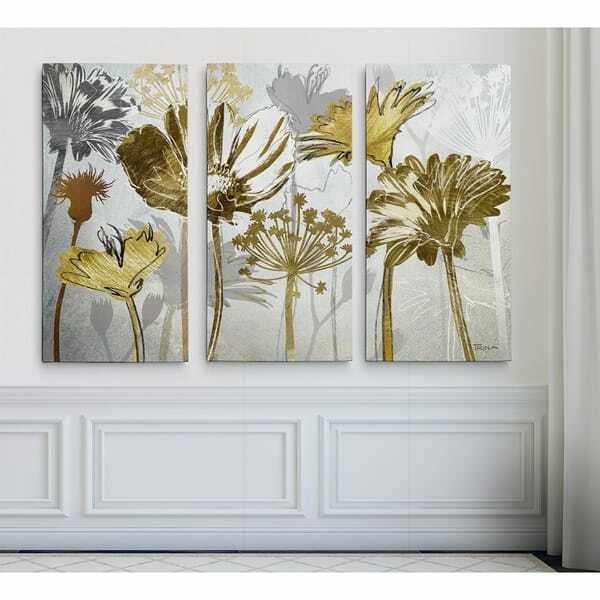 this canvas set is so elegant, transformed my living room to another level. Amazing wall painting ! Beautiful color , matched my grey coach and yellow pillows. Excellent quality ! Love this item. It’s a little smaller than I expected but still looks great! "Do this picture comes in ft or inches? " The measurements are in inches.